MOSCOW, December 26. /TASS/. 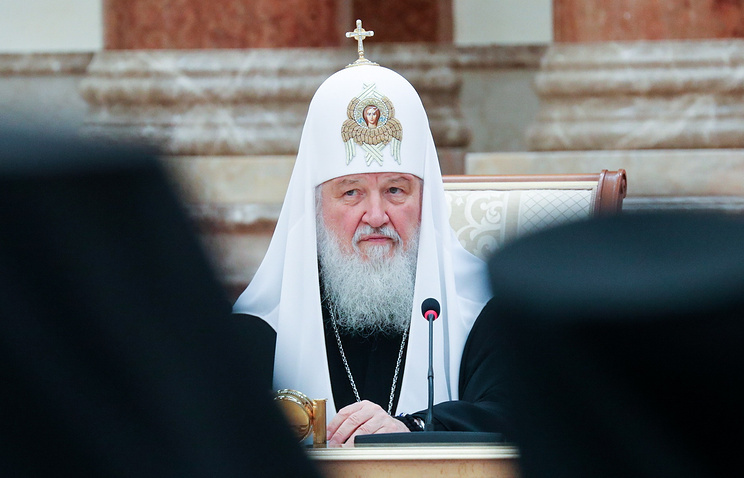 Patriarch Kirill of Moscow and All Russia has said that the creation of a new autocephalous church in Ukraine and the persecution of the canonical Ukrainian Orthodox Church (UOC) could have dangerous consequences for the whole world. “I believe the developments in Ukraine will undoubtedly have very dangerous effects in the lives of many countries,” he said at a meeting of the Supreme Church Council on Wednesday. “What is happening in Ukraine can be used as a precedent. That means that everything, which ensured inter-religious peace, religious freedom and human rights will, in all likelihood, stop to be untouchable, particularly, if these values stand in the way of solving certain political problems,” the patriarch warned. On December 15, Kiev hosted the so-called ‘unification’ council held under the supervision of the Ecumenical Patriarchate of Constantinople and brokered by the Ukrainian authorities. The canonical Ukrainian Orthodox Church refused to take part in the event, stressing that both the ‘unification council’ and Poroshenko’s newly-founded ecclesiastical establishment were illegitimate. Nevertheless, after the council, the Ukrainian president announced the establishment of this new church in the country. The Constantinople Patriarchate promised to grant its Tomos of Autocephaly to Poroshenko’s ‘new church’ on January 6. Hey Buddy!, I found this information for you: "Russian patriarch points to dangerous consequences of onslaught against Ukrainian Church". Here is the website link: https://russophile.org/russian-patriarch-points-to-dangerous-consequences-of-onslaught-against-ukrainian-church/. Thank you.